Ingredients: Wheat flour, Sugar, Egg white, Almonds (7%), Flavours. Product of Australia. Lactose Free. No Butter, No Preservatives. No Artificial Colour or Flavour. 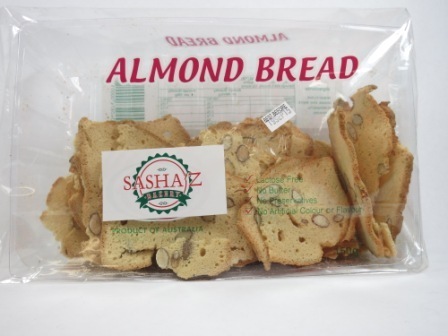 Sasha'z Bakery.